This illustration is exclusive to my patreon supporters. If you’ve enjoyed the content on my site, consider visiting my patreon page and reading what I have to offer. A bit of a different style here, a regional map. I figured a few regions would be an awesome idea after a bunch of dungeons and indoors locations I’ve illustrated. I did not include any background lore for this due to the scale of the map. 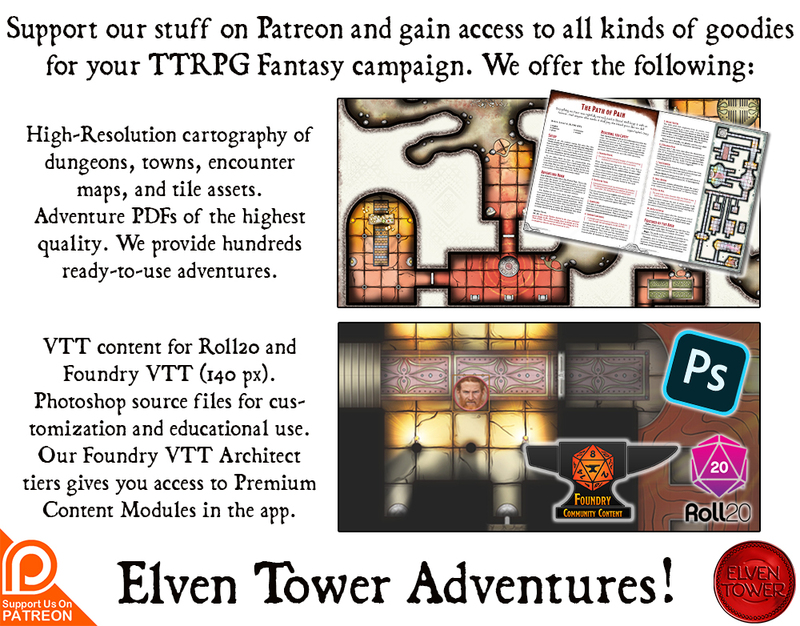 I find that my PDF lore releases are great for sandbox style of games and inspiration, but not so much for big regions because all of you already have your setting sorted out. While the illustration is useful as is, with its current names and locations. I understand you have your own worlds. That is why I included some map versions with no names. It should be easy enough to load the illustration to GIMP, Photoshop, or even Paint and add your own location names. 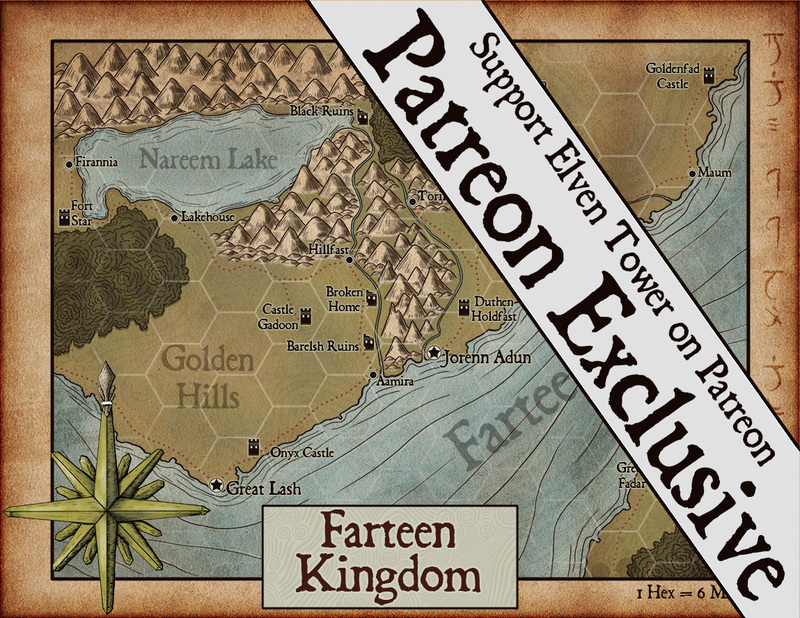 Patrons on the $3 dollar (Silver Sextant) level have access to the photoshop file and will be able to change the names very easily. The current scale, 6 miles per hex, follows Dungeons and Dragons conventions. That means each hex takes 2 hours of travel. This is a small kingdom.